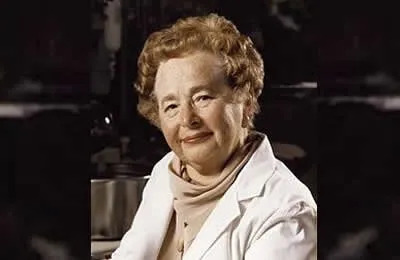 Gertrude Belle Elion (January 23, 1918 – February 21, 1999( was an American biochemist and pharmacologist, who shared the 1988 Nobel Prize in Physiology or Medicine with George H. Hitchings and Sir James Black. Elion was born in New York City, to immigrant parents. When she was 15, her grandfather died of cancer, instilling in her a desire to do all she could to try and cure the disease. She said: “I had no specific bent toward science until my grandfather died of cancer. I decided nobody should suffer that much. In 1991 she became the first woman to be inducted into the National Inventors Hall of Fame. She was elected a Foreign Member of the Royal Society in 1995. Elion never married, had no children, and listed her hobbies as photography, travel and listening to music. Gertrude Elion died in North Carolina in 1999, aged 81.